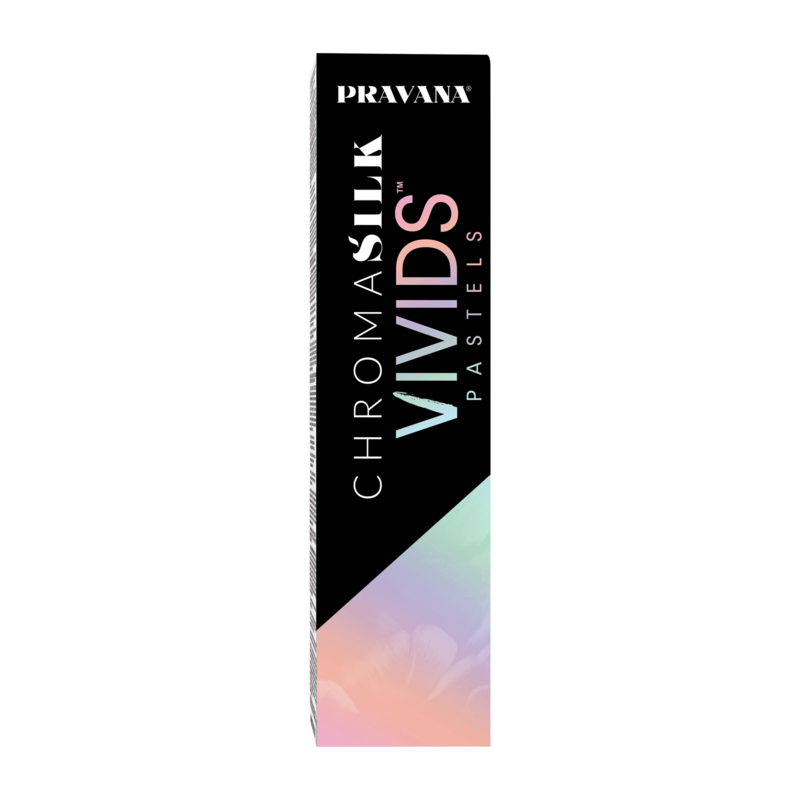 ChromaSilk VIVIDS impart long-lasting, rich creative color with brilliant shine. With more than 25 intermixable shades to choose from, the VIVIDS Collection offers stylists complete creative control with an infinite color palette. VIVIDS, NEONS & PASTELS DIRECTIONS: After pre-lightening, thoroughly shampoo with any PRAVANA Sulfate-Free Shampoo. Dry hair completely and apply VIVIDS color with a bowl/brush technique. Process for 20-30 minutes at room temperature. Once the processing is complete, thoroughly rinse with cool water until water runs clear. Lightly shampoo with VIVIDS Color Protect Shampoo. Apply VIVIDS Color Protect Conditioner and rinse. Style as desired.